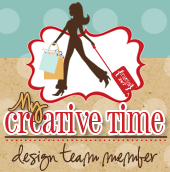 Welcome to another awesome My Creative Time 3D Wednesday! Wow has this week flown by! I think its because the kids are off on break and of course they are sick! Ugh!! So in between taking care of sick kids (and a sick hubby last week) I have been planning two Birthday parties! I normally keep them simple but I wanted my daughter to have an extra special party. Her theme is a Vintage style tea party! How fun right! 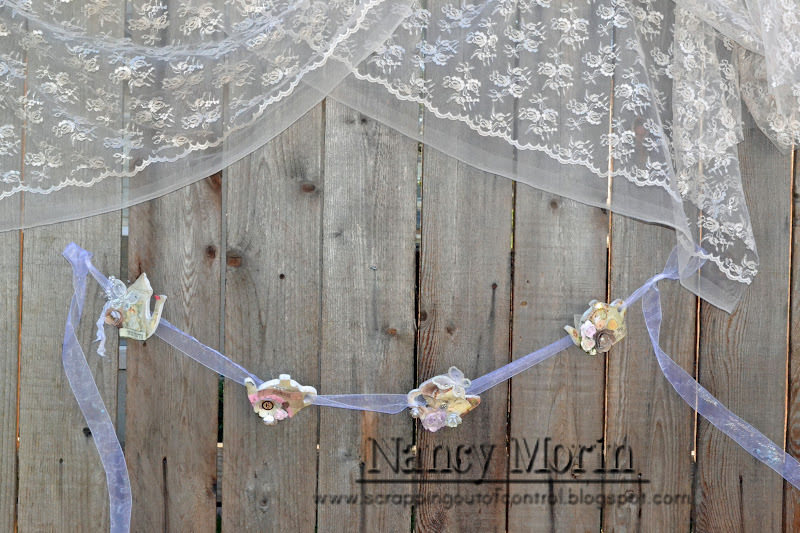 I have been going to thrift stores non stop and looking for things to incorporate into the party! What was I thinking! LOL..It will be worth it in the end I know. 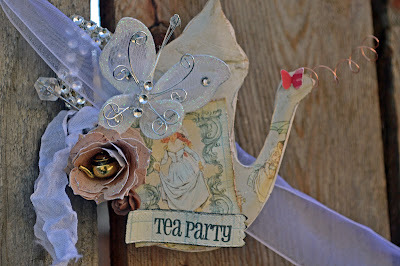 Well today I wanted to show you this banner I made using those little wooden tea cups/ pots that are found at Michael's. There is a lot of small details on each one but I think they turned out so cute! I used a ton of products and hopefully I didnt miss anything. 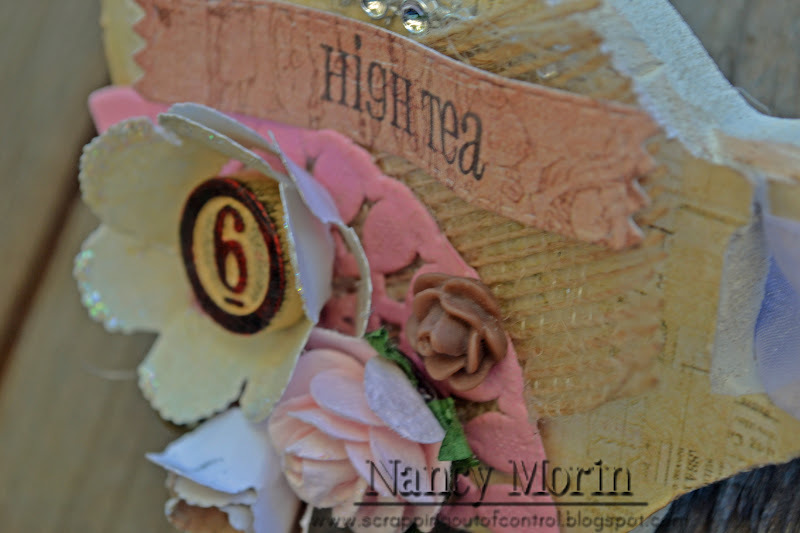 The wooden pieces were all painted with Gesso then distressed with ink. I then traced the shape out of the Prima paper collection. That was not easy! 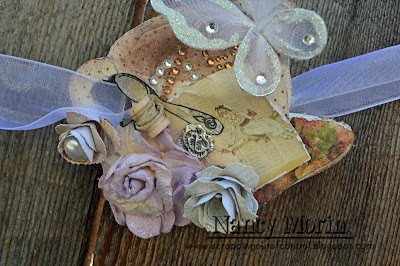 I then layered all my embellishments and added my sentiments. This will be the back drop for the dessert bar. Im not sure exaclty if this is where it will be but I will make sure to post pictures of the party! Its gonna be all MCT! lol. Hopefully this has inspired you in some way! 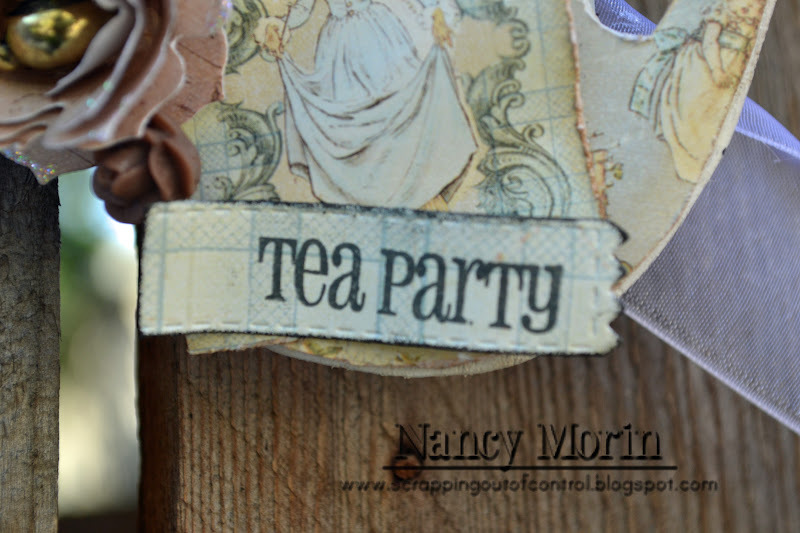 So many possibilities with MCT Stamps and Dies! Thank you for stopping by and don't forget to visit the rest of the design team members for more inspiration! Big crafty hugs to you all! 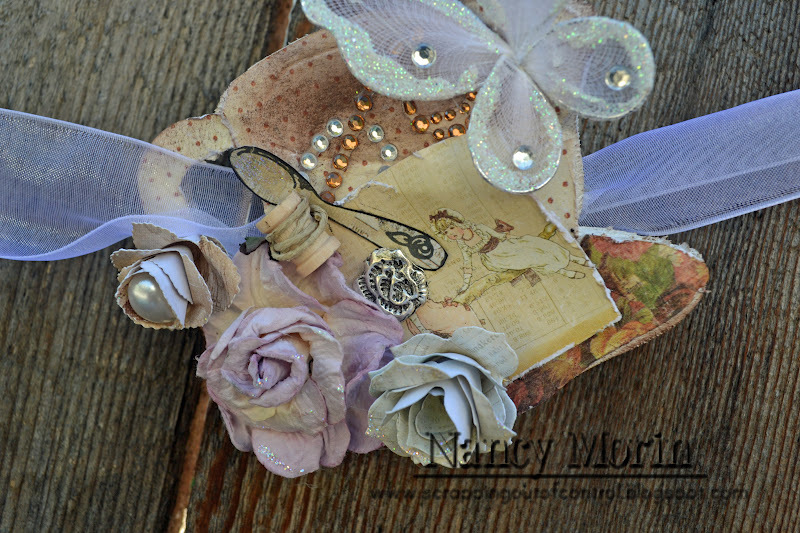 This is so gorgeous, Nancy! I love all of the little details! I'm sure it will be a huge hit at the party! Nancy ~ OOOMMMGGG!! I think this is beyond ELEGANT!! 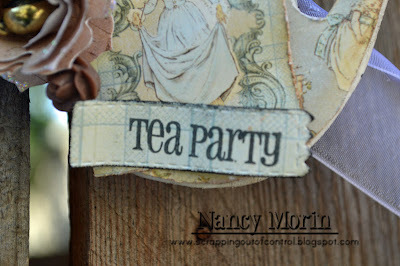 The vintage look you did here for the banner is GORGEOUS!!! The details and papers are AMAZING!! 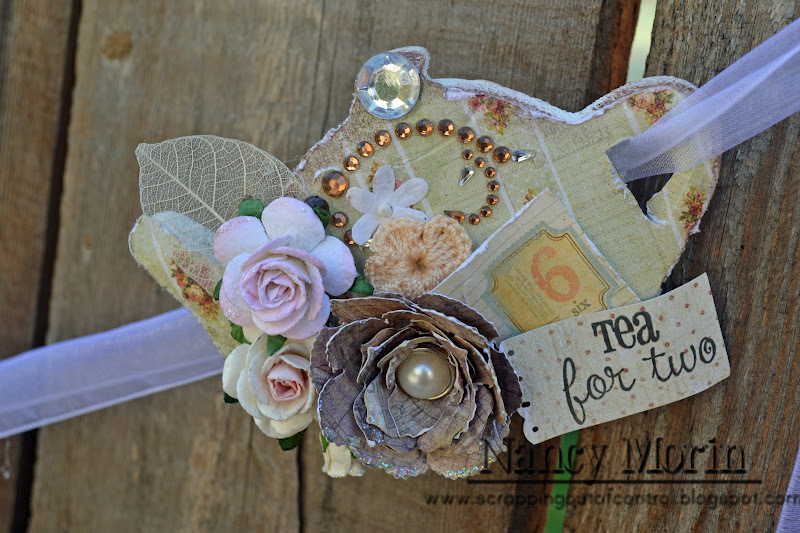 Your daughter is going to LOVE this and so are her friends!! Oh the Mom's are going to want you to plan their daughters parties and decorate for them as well! She is one lucky little girl!!! Oh my I hope you ALL are on the mend soon! Hugs to you all!! AWESOME job!!! 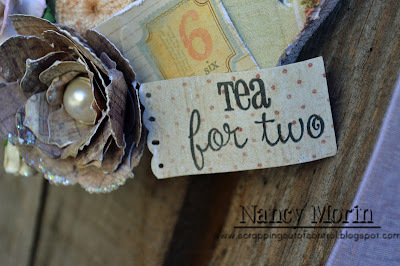 A success at making the tea pots have a vintage look to them. They turned out beautiful. 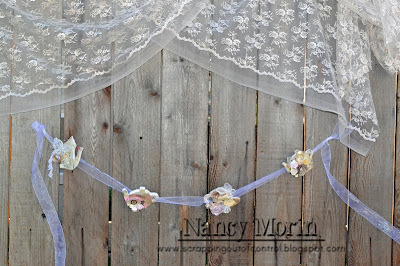 Clever to think of making a banner with them and the use of sheer ribbon and lace...perfect.